Digital Disruption, Automation, Analytics, Data Science, the Internet of Things, and the Big Data wave are changing how we live and work. Businesses that understand the forces behind these large changes will enjoy a powerful competitive advantage in the near future. In the digital economy, the firms that are able to first and best leverage social, mobile, and digital data will have great advantages. Specifically, leveraging analytics and monetizing Big Data will be part of the success. This will require enterprise focus on creating new data assets to enable and combat digital disruption. This requires deploying the Data Science team to create new data assets and to focus on growth and innovation. The use of customer data in this strategy has many pitfalls, and creating value streams from customer data requires careful consideration. It can also lead to great competitive advantages in pricing and marketing. Developing revenue strategies in customer interfaces like social networks, marketing campaigns, and even operational data will require careful identification of revenue streams and attention to customer expectations. Program attendees will learn how to monetize data assets, advance the Data Science function in the enterprise for growth and innovation, and leverage social, mobile, and digital customer data. Special focus will be given to digitally-focused enterprises seeking to leverage Big Data and Data Science for digital disruption. 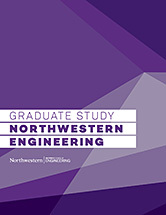 Attendees, upon completion of the course, will earn a certificate of completion from the Master of Science in Analytics Program (MSiA), housed within Northwestern Engineering's Industrial Engineering and Management Sciences department, and will be provided special invitation status to limited-access events hosted by MSiA in the future. Executives and managers in organizations that like to leverage more data and a greater use of analytics in their business. As this course will provide strategic direction, executives from Technology Providers, IT, Data Science Teams, Startups, Human Resources, Marketing, Risk Management, Product Development, and Customer Service will find the applications especially useful. The course will focus on how organizations can best lead digital enterprises, leverage Big Data assets, and get more from Data Science teams. The cost of the program includes breakfast, lunch, snacks, beverages, and a networking session. Attendees will also be provided with all notes, books, and materials used in the program. Any travel, lodging, parking, or other expenses experiences are not included and are not the responsibility of Northwestern University or the program. Because of the limited program size, we recommend that you contact us as soon as possible about your plans to transfer or cancel attendance. Full refunds are only possible when you cancel more than 30 days before the start of the program. You may transfer your seat to a colleague at no charge. Northwestern University reserves the right to cancel a program at any time for any reason. If the course is cancelled, any paid program fees will be fully refunded to the registrant. The university is not responsible for refunding any travel or other related expenses experienced by the program registrant.